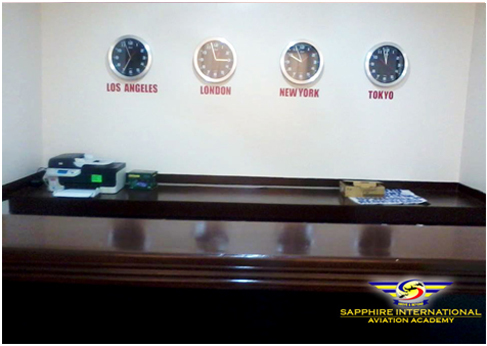 SAPPHIRE INTERNATIONAL AVIATION ACADEMY’s Aircraft Maintenance Training Laboratory and Workshop boasts of modern aviation tools and equipment aimed at providing AMT students ample hands-on exposure to real aviation environments to better familiarize themselves and thereby maximize their learning to become skilled aircraft mechanics later. 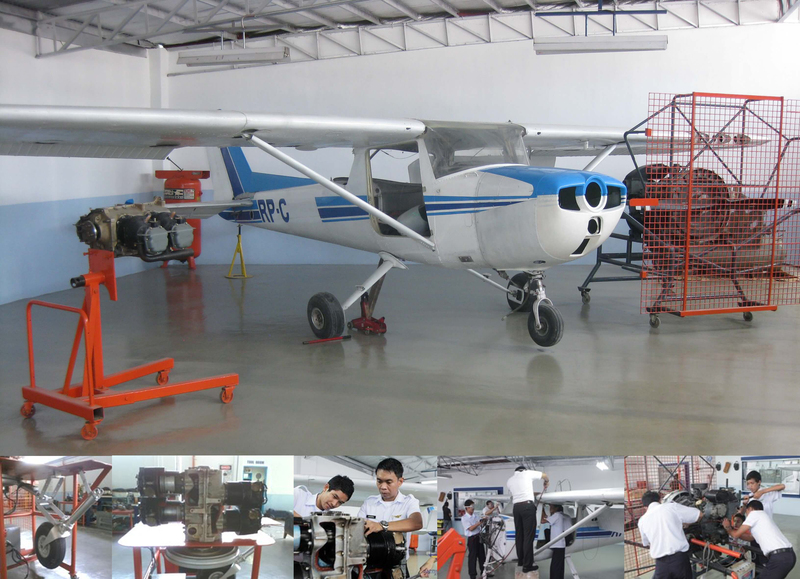 The Workshop features a real CESSNA 150 Airframe that students can tear down and re-assemble, as well as a cut-away engine and landing gear system that shows the students how such aircraft engines and landing gear systems work and how to service, maintain and repair them if and when necessary. 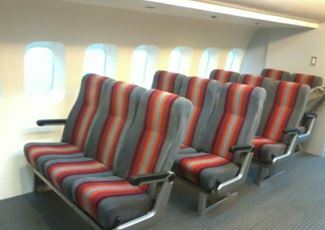 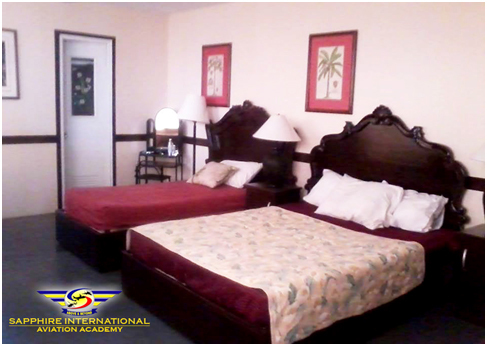 Training facilities include a complete Lear Jet, reciprocating engines and landing gear systems. 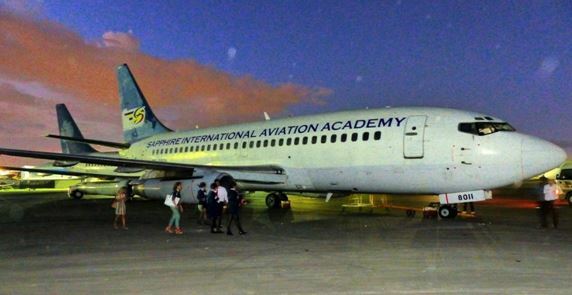 To support the flight training of its student pilots, Sapphire Aviation operates an ELITE P-135 Flight Simulator Trainer with multi-engine capability and 210 degrees visuals. 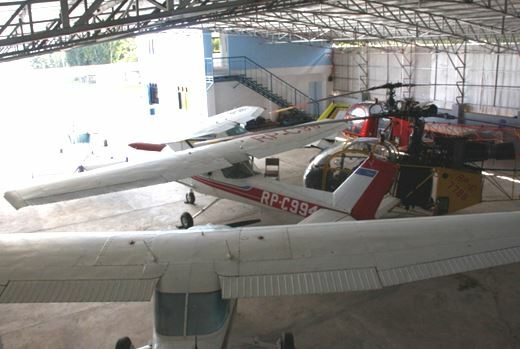 SAPPHIRE AVIATION’s Aircraft Maintenance Facility is located at its hangar at Brgy. 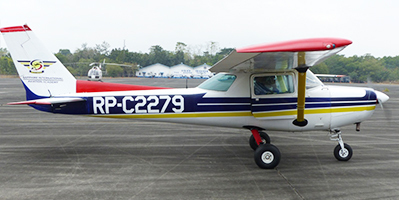 Santor, Tanauan City in Batangas, Philippines. 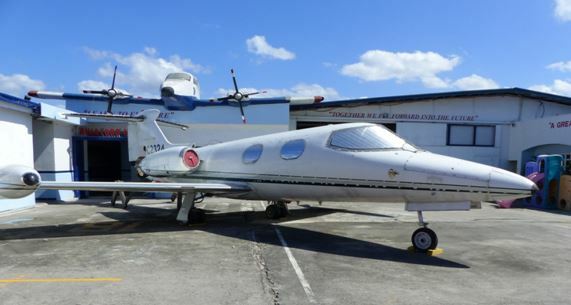 The facility includes ample space for aircraft parking, pilot briefing rooms, training rooms, aircraft spare parts room, tools and equipment room, and sleeping quarters for flight instructors, aircraft mechanics, student pilots, support staff, and other personnel. 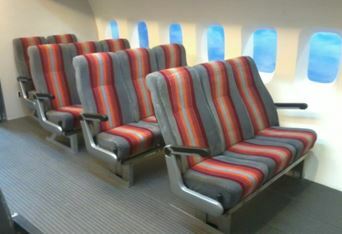 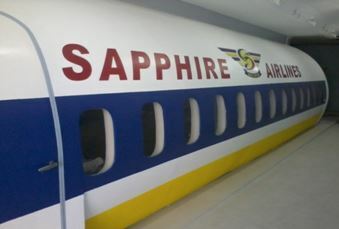 SAPPHIRE AVIATION’s Flight Attendant Mock-up Cabin Trainer is a state-of-the-art simulation of an airline cabin that afford Flight Attendant Training Students a real environment where they can learn about passenger service, emergency procedures, pre-flight routines, and passenger courtesies.